Quality is the first expression in ROYAL Mission Statement and it is the lasting ROYAL strives to leave its clients. ROYAL doing the design for the Electro-Mechanical works according to the following national Standards Codes and Regulations where applicable. ASHRAE: American Society of Heating Refrigeration and Air Conditioning Engineers. ICBO: International Conference of Plumbing Official Plumbing Code. EPD: Requirement for Air, Noise, and Water Pollution Controls. NEC: The regulation for the Electrical installation of building issued by the National Electric Code (NEC), 2009. NFPA: National Fire Alarm Protection Association (NFPA) 71 and 101 regulations and Standards. IGCC: International Green Construction Code. ISPSC: International Swimming Pool and Spa Code. · General and specific requirement of the Local Institutions "Water Company, Municipalities, Electricity Company, Telecommunication Company, and Local Civil Defense". For ROYAL, quality equals performance, performance to both the clients' expectations and to ROYAL own exacting standards. Most importantly, ROYAL is never satisfied with its performance, but constantly seeks improvement. The ROYAL quality performance process concentrates on results that benefit the clients, co-workers, and the firm. Since ROYAL introduced its quality review policy with clients, the firm approach to quality has matured to recognize that quality begins with commitment. This commitment is translated into concrete action through an in-depth planning process. 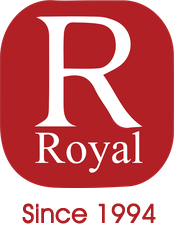 Royal's general director meet with clients at the end of each project to formally evaluate and review the firm performance. Partnering is a significant aspect of ROYAL approach to quality performance. We engages in partnering sessions with its client to better understand project goals, open good lines of communication, and determine the best way to overcome any obstacles which may arise during the project. Beside that, ROYAL partners with a national company and a select group of local companies to supply commodity purchases by securing just-in-time delivery, uniform pricing, and excellent returns policy, in addition to the exchanges of the experiences. ROYAL benchmarks its performance with both its clients and co-workers. As this benchmarking effort shows areas, which can be improved, we convene a task force to address these areas. ROYAL has entered its projects at several different development stages, from the initial idea to complete drawings. These experiences enable ROYAL to review the completed drawings project and to assist through value engineering, developing the most efficient and appropriate approach to the mechanical installation of the project. On partially developed projects, depending on the specific project needs, ROYAL can provide full design/build services or fill in the gaps. ROYAL often teams with a design professional to carry the project drawings to completion. Years of experience in this process have afforded ROYAL with the ability to understand the design side of projects, which enhances the communication between ROYAL and design professionals. As a whole, ROYAL knowledge of mechanical systems and relationships with design professionals provide ROYAL with the ability to envision a project at any stage of development and to foresee complications in order to determine the most appropriate approach to the project. This ability can add value to a project, greatly reduce the risk of future complications, and ensure optimal performance.